Food Truck in the MTP Food Court This Sunday! The Melrose Trading Post (@MelroseTrdgPost) will be bringing in a particular food truck that serves delicious dessert treats. Get Your Portrait Painted This Sunday in B54! This Sunday in Space B54! 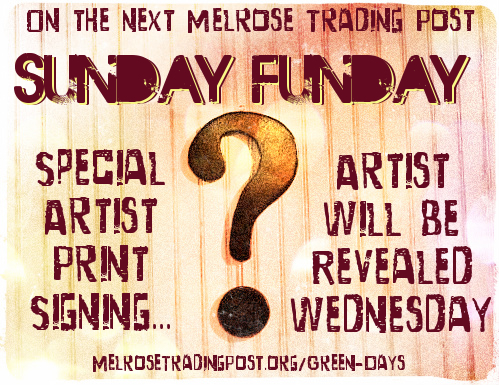 Captain Ron Performing LIVE this Sunday at the Melrose Trading Post! Captain Ron is performing on the Food Court Start this Sunday, July 15th From 10AM to 12:30PM!! Yesterday’s Melrose Trading Post was filled with so many interesting people and things!! I (Vendor Manager Natalie) found this framed Jimi Hendrix poster from 1988. Vendor Jeff Cungious sold it to me (he always has great finds!). Operations Manager Denise was all over the place! Here she is sitting with Lester Anderson (B92) of AndersonBenches.com on one of his handmade creations. Lester also had these insane vintage high heels in his booth. These shoes were NOT meant for walking! She really loves the holiday. Eventually I caught up with Pierson Blaetz, one of the co-founders of the Melrose Trading Post. I decided that if I ever became a millionaire, I would have a herd of these adult-sized rocking horses! Denise is doing a beautiful arabesque on this rocking horse from Detroit Trash‘s booth (B144). I wonder if anyone bought this… if not I’m definitely going to be on it next Sunday! Lenise Soren of Sorenity Rocks’ hosted an unforgettable Sunday Funday Crystal Experience event! Did you meditate with Crystals, get a Crystal cleansing or drink Crystal-infused water? If you missed it, she’ll host another Crystal Experience Sunday, August 5th! Come celebrate Father’s Day with us and Rhubarb Meringue Pie! 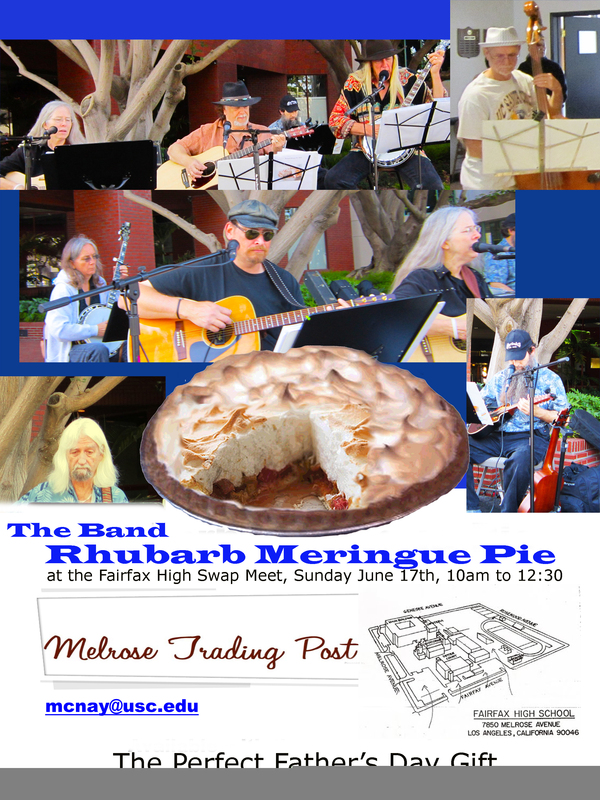 Rhubarb Meringue Pie will be performing in the food court this Sunday from 10AM-12:30PM. Los Angeles Farmer’s Market (Third and Fairfax) tonight and tomorrow night! 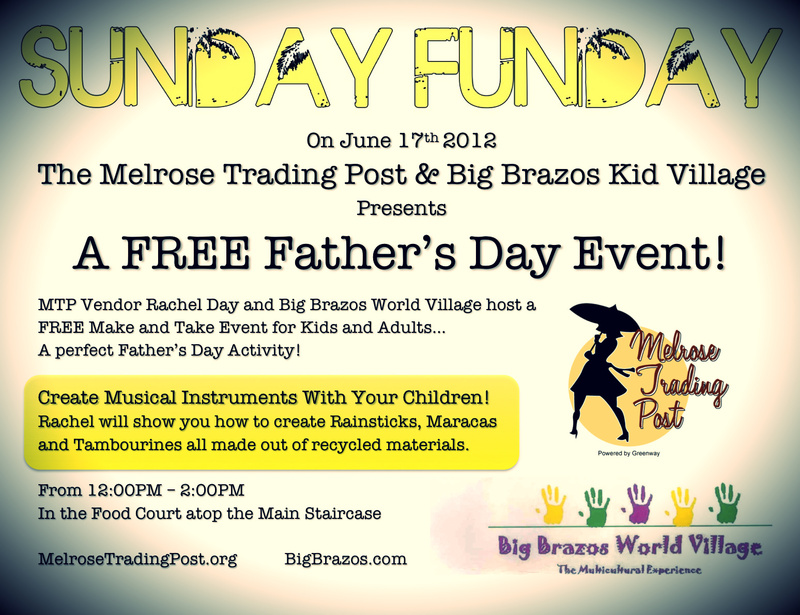 Free Father’s Day Event at the Melrose Trading Post! 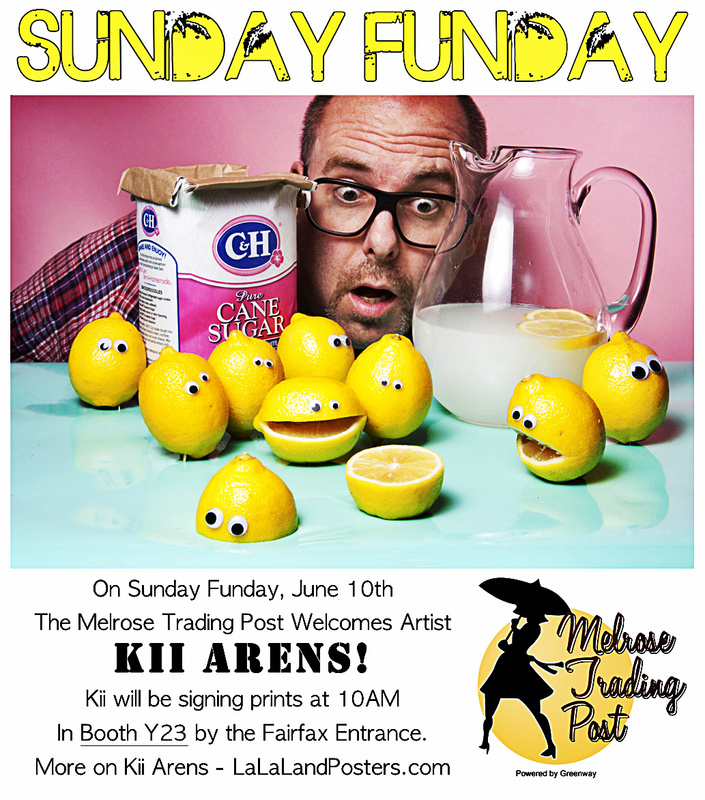 Sunday Funday at the Melrose Trading Post – June 10th!